When used in conjunction with Campden Tablets can stop and stabilise wine fermentation. 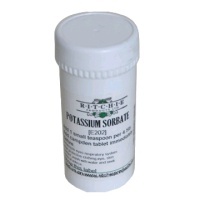 Once the yeast has finished working, when added Potassium Sorbate will not allow the wine to restart. Use as directed.